My dear brethren and sisters. I bid you welcome to another general conference of The Church of Jesus Christ of Latter-day Saints, and rejoice in the privilege that is mine to stand before you and bear testimony to the truth and divinity of this great latter-day work. Our position is one of strength because it is founded on eternal truth. We need not fear the fiery darts of the adversary, nor be troubled by world conditions, as long as we walk in that light which a gracious Father has so abundantly shed forth upon us in this final gospel dispensation. In his infinite wisdom, and to fulfill the covenants and promises made to the prophets of old, the Lord has restored in these last days the fullness of his everlasting gospel. This gospel is the plan of salvation. It was ordained and established in the councils of eternity before the foundations of this earth were laid, and it has been revealed anew in our day for the salvation and blessing of all our Father’s children everywhere. According to this great and eternal plan, salvation is in Christ. It comes because of the infinite and eternal atonement which he wrought by the shedding of his blood. He is the Son of God, and he came into the world to ransom men from the temporal and spiritual death that came because of what we call the fall. Through his goodness and grace all men will come forth from the grave, to be judged according to the deeds done in the flesh. Then those who have believed and obeyed his laws shall receive an inheritance of eternal life in his Father’s kingdom. This glorious blessing is available because of his atoning sacrifice, and it is given to those who love and serve him with all their strength. Now I testify that these laws which men must obey to gain salvation, and which comprise the gospel of Jesus Christ, have been revealed in this day to prophets and apostles, and that they are now administered by his church, which he has again established upon the earth. But these great and eternal truths, to which men must conform if they are to be saved, have not been revealed for our good only. They are for all men of every nation, and kindred, and tongue, and people. Nearly six hundred years before Christ—that is, his coming—the great prophet Nephi said to his people: “… there is one God and one Shepherd over all the earth. That promised day is now dawning. This is the appointed time for the preaching of the gospel in all the world and for the building up of the Lord’s kingdom in every nation. There are good and upright people in all nations who will respond to the truth; who will come into the Church; and who will become lights to guide their own people. In our recent conference that was held in Manchester, England, we saw many illustrations of the strength and leadership ability of the British people. The Church has come of age in Great Britain, and the British Saints are prepared and able to administer the gospel to those of their nation. And as it is among them, so it is or will be in other nations. The gospel is for all people, and the Lord expects those who receive it to live its truths and to offer them to those of their own nation and tongue. And so now, in the spirit of love and brotherhood, we invite all men everywhere to give heed to the words of eternal life revealed in this day through the Prophet Joseph Smith and his associates. We invite them to believe in Christ and his gospel, to come into his church, and to be one with his saints. We have tasted the fruits of the gospel and know they are good, and we desire that all men shall receive the same blessings and the same spirit that have been poured out so abundantly upon us. I rejoice in the privilege of following in his footsteps. I am grateful for the words of eternal life which I have received, I am very glad to say, in this world, and for the hope of eternal life which is mine in the world to come if I will remain faithful and true to the end. All my life I have studied and pondered the principles of the gospel and sought to live the laws of the Lord. As a result there has come into my heart a great love for him and for his work and for all those who seek to further his purposes in the earth. I know that he lives, that he rules in the heavens above and in the earth beneath, and that his purposes shall prevail. He is our Lord and our God. 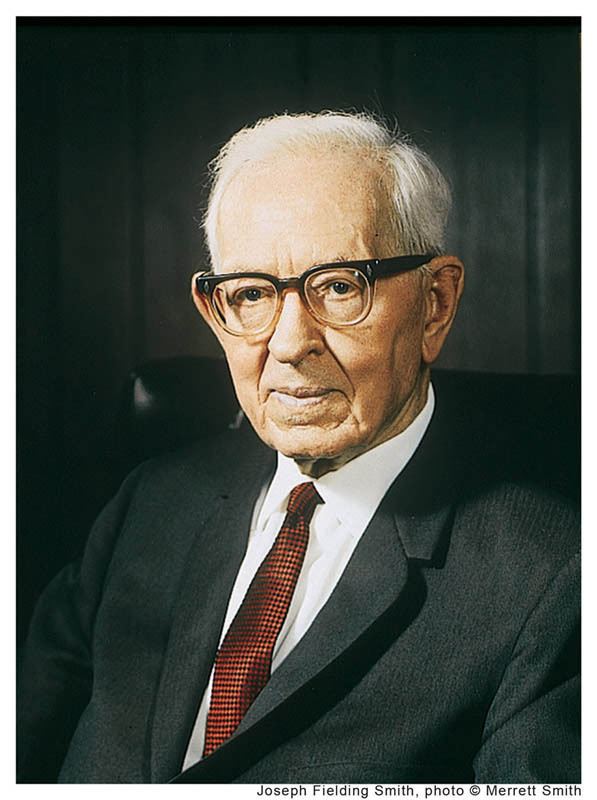 As he himself said to Joseph Smith: “The Lord is God, and beside him there is no Savior. I pray that we may all be guided by the power of the Holy Spirit, that we may walk uprightly before the Lord, and that we may inherit eternal life in the mansions and kingdoms that are prepared for the obedient. This is my prayer in the name of the Lord Jesus Christ. Amen.